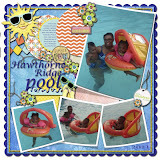 Ms. Rae's Custom Design: Watercolor fun! I couldn't resist sharing this beautiful card I made at unit meeting yesterday. I think my love of card making is definitely renewed. I just love the look of this dainty card and the technique was so much fun. Our unit leader CASEd this card on the net so I will definitely will not take credit for designing this card. I will share with you how it was done. Using SU! 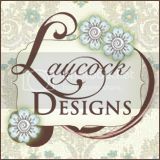 Shimmer White cardstock, emboss Fifth Avenue Floral stamp. We used white craft ink but you can use VersaMark ink and White or Clear Embossing Powder. Here's the fun part: spray your paper with water in a mister until you have quite a bit of water on the image. Using a couple drops of a few colors of ink refill touch your Aqua Painter pen into a drop of ink then touch that to the water in one of the crevices in your image and watch the color will spread. Do the same in other areas. Clean your Aqua Painter and repeat the process with another color or two in other areas. You may have to re-mist with water occasionally as you go. Then let this dry; it will take awhile. Once it's dry, cut out your image and use on your card or project. Beautiful!! I love this technique! How neat -- this is beautiful. I will be trying this technique for sure, thanks for sharing. 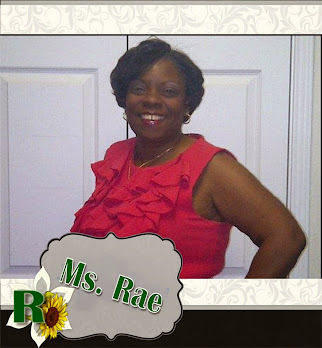 Ms Rae, your card turned out beautifully! Great job! Love it! Love it! Love it! I have been wanting to try this technique. You did a great job! !